What brings excitement and ambition into the work of an interior designer? For Susan Flynt of Embellish, it is looking at a project and realising the potential for what she can bring to a client’s home. The world recognises talent by what they see, taste, hear and read. Great bakers are recognised by their pastries and the genius of artists is found in paintings. For designers, their art is realised when a house is transformed into a home. The interior spaces in Susan’s home are useful measures of success in design. Embellish, her newly launched design firm, exemplifies her natural eye and love for home design. Susan has realised the finished product of turning dirt into a home several times. Embellish extends an interesting offering of services. First, of course, is a full spectrum of design services for a home. 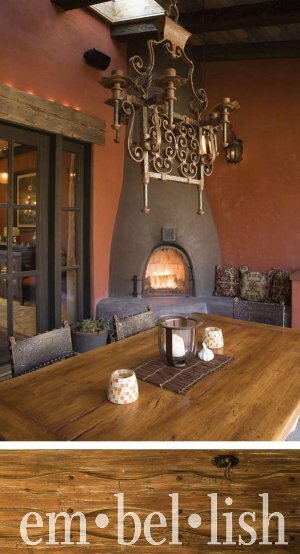 Color, textures, materials, design theme, exterior finishes, woodwork, doors, cabinets, furnishings—all the things that make a home whole and complete–come into play. 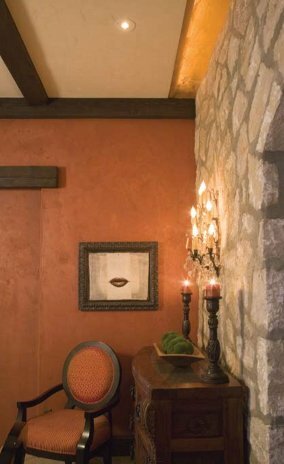 Many locals are familiar with Susan and Jerry Flynt’s Gimlet home, including from the 2007 Tour of Homes, a 2008 Sun Valley Magazine article on innovative children’s rooms, and a recent MTV profile on “Teen Cribs.” Their home, showcases what you can expect from Embellish. “My approach to design is that clients will be able to say, “This is my home.” I want their home to be more than a place to eat and sleep. A home should be designed to reflect their lifestyle and to fit their daily routines, 24-7. A well thought out home can help with everyday stress, and bring personal joy to what they have created specifically for themselves.